Afghan officials said troops were able to push the Taliban out of the city of Kunduz after insurgents captured a fort on Wednesday Sept. 29, 2015. The Afghan government said its forces had recaptured most of Kunduz from the Taliban on Thursday, three days after the militants seized the provincial capital, NBC News reported. 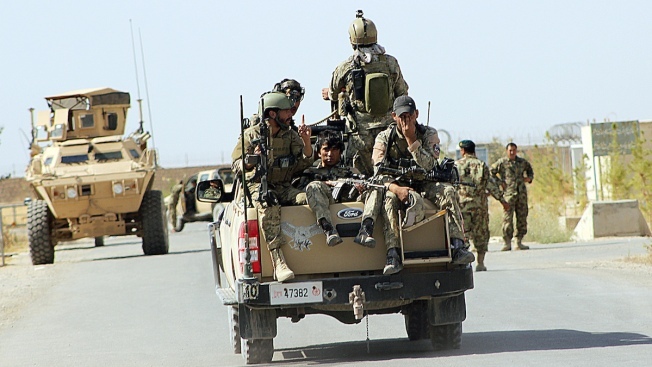 Afghan Ministry of the Interior spokesperson Sediq Sediqqi told NBC News that special forces broke Taliban lines of defense in the early hours of the morning and cleared the city center "without much resistance." "A massive search and clear operation is underway in all Kunduz city right now," he said. "The remaining enemy forces are being chased by Afghan national security forces." Taliban spokesmen denied the Afghan government had recaptured the city, and it was not immediately clear what parts of Kunduz were in whose hands.